For the first time since The CW emerged from the ashes of UPN and The WB, the network-wannabe has a new president. Dawn Ostroff, who has been The CW's president since it launched in 2006 (and president of UPN for four years before that) will be replaced by Mark Pedowitz, a veteran network and studio executive. BURBANK, Calif. - April 28, 2011 - CBS Corporation and Warner Bros. Entertainment today announced that Mark Pedowitz has been named President, The CW Television Network. In his new capacity, the veteran network and television studio executive will oversee all aspects of The CW, including programming, sales, marketing, distribution, finance, research and publicity. He will assume his new duties this month. Pedowitz comes to The CW with a strong background in program development, production and business affairs. As President of ABC Studios, he oversaw such hit series as "Lost," "Desperate Housewives," "Grey's Anatomy," "Ugly Betty," "Scrubs," "Army Wives," "Ghost Whisperer" and "Criminal Minds." Dawn Ostroff, President of Entertainment for The CW, is leaving the network to relocate to New York with her family, and will assist in the transition through the current broadcast season, ending in May. "Since its inception, Dawn and her team have built The CW into a brand-name destination for young female viewers with franchise shows as well as forward-thinking digital and marketing campaigns," said Nancy Tellem, the executive who oversees The CW for CBS. "We now look forward to Mark leading The CW to even greater heights. Mark is an outstanding executive with a stellar reputation in our entertainment community. He brings to the table a strong and diverse background as a business strategist and production executive, as well as a track record of success in all facets of our industry." "Mark is a seasoned industry leader possessing a strategic combination of business savvy and strong relationships with the creative community," said Bruce Rosenblum, President, Warner Bros. Television Group. "He's the perfect executive to help us take the network to the next level: a key content driver with vast experience in all disciplines." "I'm very excited to be joining The CW and working closely with two great companies like CBS and Warner Bros.," said Pedowitz. "The network has built a strong foundation and powerful identity in its first five years, and I'm looking forward to helping elevate it to even greater success in the future." Pedowitz has helmed an independent production banner, Pine Street Entertainment, on the Warner Bros. Studios Burbank Lot since February 2010. Pine Street's pilot, "Meet Jane," executive produced by Pedowitz and Andi Bushell in association with Warner Horizon Television, is in contention for a series order from Lifetime. Previously, Pedowitz served as President, ABC Studios, from 2004-2009. During that period, Pedowitz's leadership produced multiple seasons of successful programming that fed the Walt Disney Company's distribution pipelines worldwide. Prior to that, Pedowitz served as Executive Vice President, ABC Entertainment Television Group, overseeing all business, legal and financial affairs for ABC Primetime and Touchstone Television, as well as business/legal affairs for ABC Daytime. He joined ABC in 1991 as Senior Vice President, Business Affairs and Contracts. 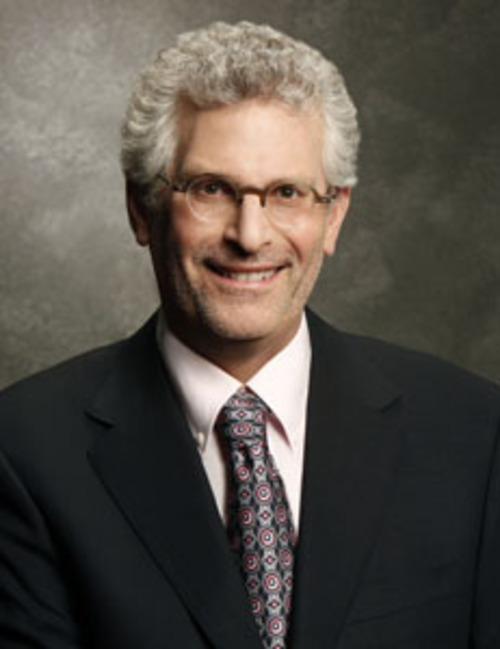 Before joining ABC, Pedowitz was Senior Vice President, Business Affairs and Administration, MGM/UA Television Production Group, a position he had held since 1987. From 1985-87, Pedowitz was Vice President, Business Affairs and General Counsel, The Landsburg Company. From 1980-85, he was Vice President, Business Affairs, Reeves Entertainment. He began his career in the entertainment industry in 1979 as an attorney at MCA, Inc. The CW is a joint venture of CBS Entertainment and Warner Bros. Entertainment.